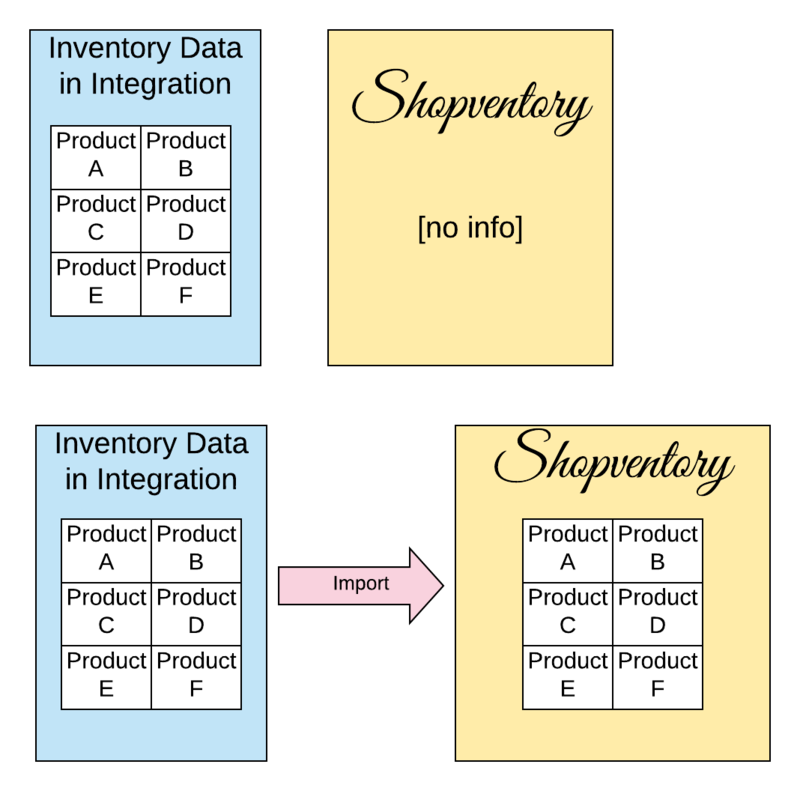 Importing inventory information is actually a part of the initial connection process, but inventory information can be imported to Shopventory afterwards. NOTE: This is a manual process that is only recommended for initial setup. It should ideally NOT be a regular practice. This process will pull inventory information from your merchant account integration into Shopventory. Importing is not selective. 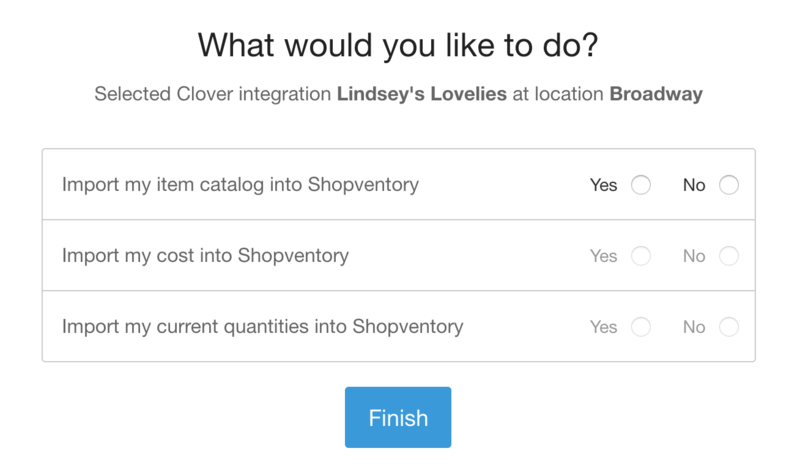 It reads ALL inventory information from your integration and writes it to Shopventory. If there is a Product that already exists in both systems and is syncing between the two, it will not be duplicated. Importing can take 5-60 minutes depending on the amount of inventory in your integration. Anywhere there is a disagreement between the integration and Shopventory, the integration will win. Importing is NOT recommended as a regular practice. This is recommended for initial setup or in the case that an employee has accidentally entered inventory information into the point of sale/e-commerce system vs in Shopventory as recommended. 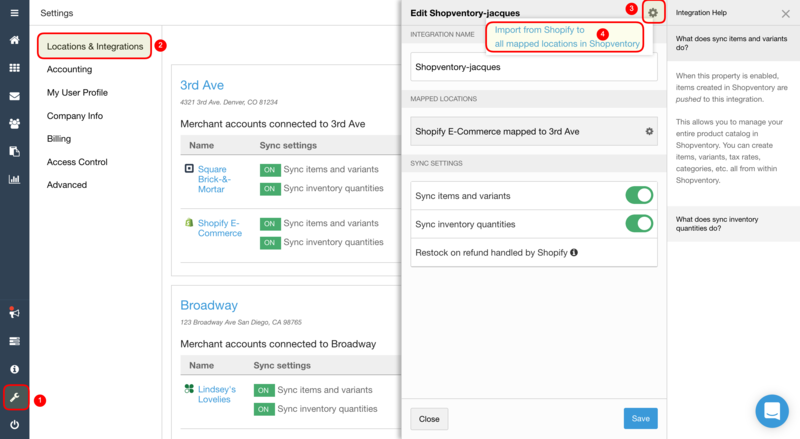 Go to the Locations and Integrations tab in the 'Settings' section of Shopventory. Click on the integration name. Click on the gear wheel at the top of the panel. On the following page, you'll be given the option for the inventory information you'd like to import. Simply select what you'd like to import.